Vagabon, Angel Olsen, and more! After counting down the months, weeks, and days—Pitchfork Music Festival has finally arrived. Spanning the course of three days in Chicago and boasting a lineup that includes musicians from a wide range of genres, this event is the ultimate one-stop shop for music lovers. In addition to hosting performances from established artists like Tribe Called Quest, The Avalanches, and LCD Soundsystem, the festival will also be highlighting the best in new and emerging music. Find out who we’re most excited to see this weekend, listen to our playlist to get hyped, then make sure to Track the artists so you can catch them when they’re performing in a city near you! Since coming out with her debut album, Strange Cacti, St. Louis’ Angel Olsen is known for having one of them most unique voices in the game. With indie folk tracks that are both catchy and hauntingly beautiful, this singer-songwriter is bound to catch your attention at Pitchfork this year. Breaking on to the scene in 2014 with her demo “Vermont”, Vagabon (alias for Lætitia Tamko) blew up on music blogs and has been thriving ever since. Equipped with poetic lyrics and fresh melodies, the Cameroon-born singer-songwriter is truly one-of-a-kind. Releasing his first album Hell Can Wait in 2014 and breakout masterpiece Summertime ‘06 one year later, Vince Staples has proven himself to be one of the best rappers in the game. Here's to hoping he'll perform a slew of new tracks off his latest LP, Big Fish! Feel like jamming out out to some masterful indie rock? If so, Pinegrove’s appearance at the festival should satisfy that need. Since releasing their 2015 LP Everything So Far, the New Jersey rockers have been all the rage. Between being quality musicians and active philanthropists (they’re always donating proceeds to various organizations in need), the “Old Friends” artists are a must-see. 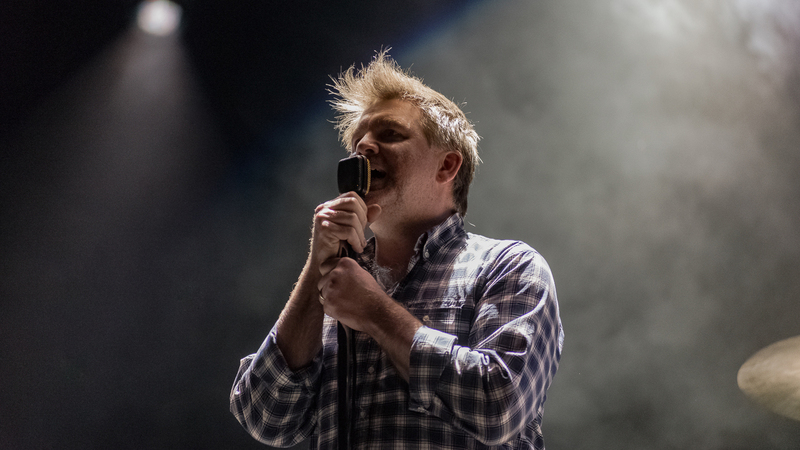 With the release of their first album in seven years just around the corner, LCD Soundsystem are back and better than ever. Winning the hearts of music lovers all over throughout the early 00’s with hits like “Dance Yrself Clean” and “New York, I Love You But You’re Bringing Me Down”, the Brooklyn band has made the ultimate comeback (thanks to the advice of David Bowie). Make sure to catch them this weekend to witness a live performance of "American Dream". After obsessing over her 2016 release A Seat at the Table, we were stoked to see that Solange would be performing at Pitchfork this year. With tracks like “Cranes in the Sky” and “Mad”, the Texas native has proven herself to be an expert in crafting captivating melodies and profound lyrics. Chicago—run, do not walk to the main stage on Sunday to catch her headlining set. With a bold, colorful musical style, George Clinton & Parliament Funkadelic are a necessity when it comes to seeing live performances. Formed in the ‘70s as a combination of two groups, the Parliaments and Funkadelic, the Rock and Roll Hall of Fame-inductee took psychedelic and funk to a whole new level, inspiring musicians all across the board. Luckily enough, the “Not Just Knee Deep” musicians will be making an appearance at this year’s festival and it’s bound to be a good time.